BPPV classically produces vertigo (spinning of the room – the difference from dizziness is discussed here) that lasts anywhere from a few seconds to two minutes, and is usually only provoked by movement, usually lying on one side or rising from bed. 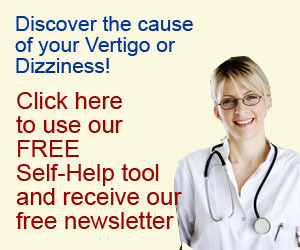 If your vertigo happens spontaneously or lasts longer than a few minutes then it may not be BPPV. Regardless you should always have it checked by a health professional trained in the assessment of vestibular symptoms. If you have BPPV the most successful treatments are things called repositioning manoeuvres, of which the Eply manoeuvre is the most well known and probably the most effective for most people. The Epley manoeuvre is something that can be easily applied by someone qualified in vestibular therapy. 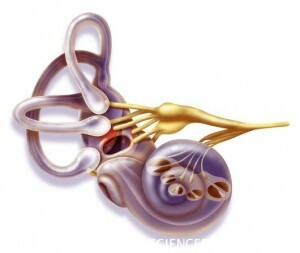 You can try it yourself at home but unless you can be sure which ear you should be treating it can be difficult. Following the Epley manouevre you should avoid lying down flat or bending for 48 hours. This is because the crystals can be trapped in the canals again if you lie down during this time. So let me know, have you had any experience in having your BPPV treated? What was the most successful treatment for you? Leave a comment below. I have seen my PCP, my sleep study physician, an ear nose and throat physician, and then my pcp again. All 3 dr’s agree I have BPPV, my ENT did the Epley manouevre in her office, and it did not help. My pcp has now given me an RX, which also does not seem to be helping. I have had these symptoms for over 2 months, they came on I must say with the use of a cpap machine. When I use the machine now, I feel much much worse and the symptoms last all day long. I am being treated for High Blood pressure, I am on HCTZ and atenolol and have been for years, my BP has been great at all my dr’s visits, so I don’t think it’s a sudden loss in pressure or anything. I’m really not sure what to do at this point, I feel like I’m just going to have to deal with this feeling day in and day out till it goes away on it’s own, if it goes away.